Three years have gone by since my last visit to the Iberian peninsula. 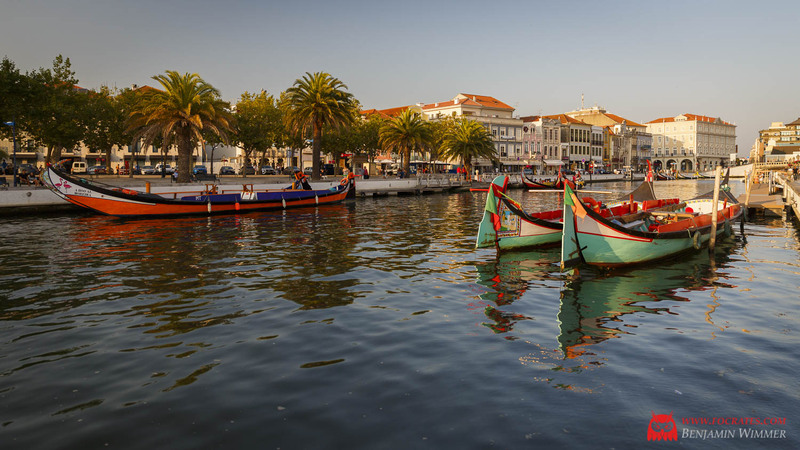 While I was previously exploring the southern coast of Spain, this time I wanted to get to know Portugal, the second country on the most south-eastern part of Europe, better. 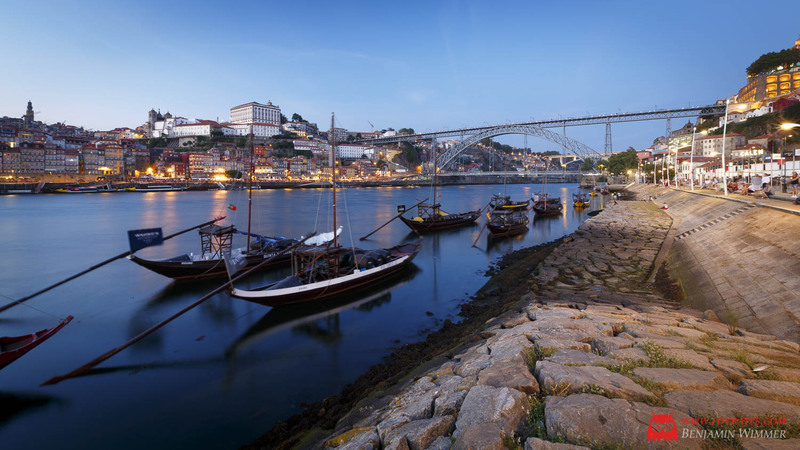 My travels led me from Porto in the north via Lisbon all the way down to the Algarve coast. I was lucky to see some of the most impressive landscapes and historical sites of the region and somewhere in between there was also some unique birdlife that I'll go into more detail in a later article. I hope you'll enjoy my short photographic summary of a country that has way more to offer that I could ever try to show in such a brief manner. 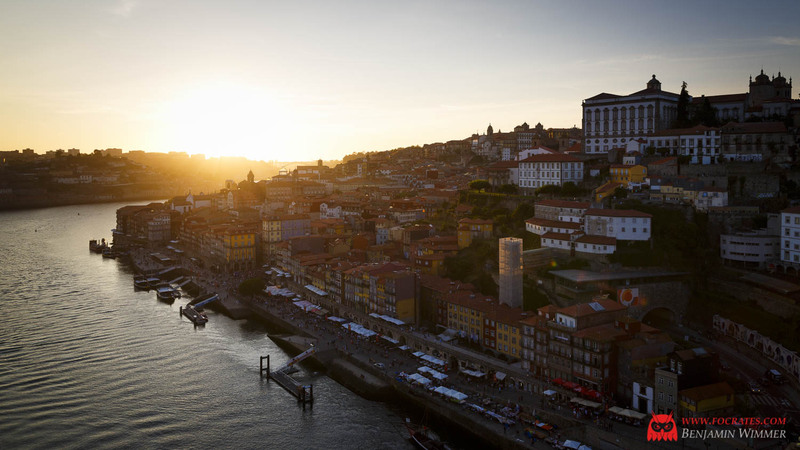 Porto, which literally means 'port' once was one of the most important transfer sites of goods from the new world. 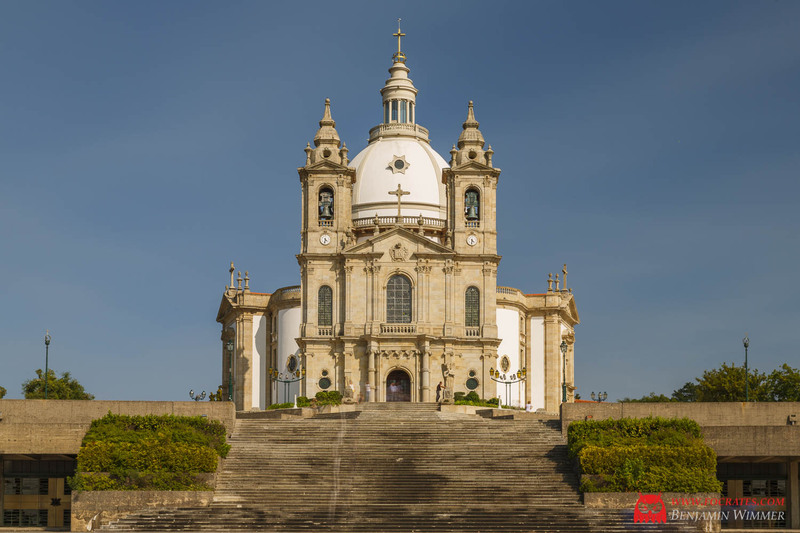 Since the fall of the Portuguese colonial empire it has lost most of it's international importance but is still the cultural and economic center of northern Portugal. 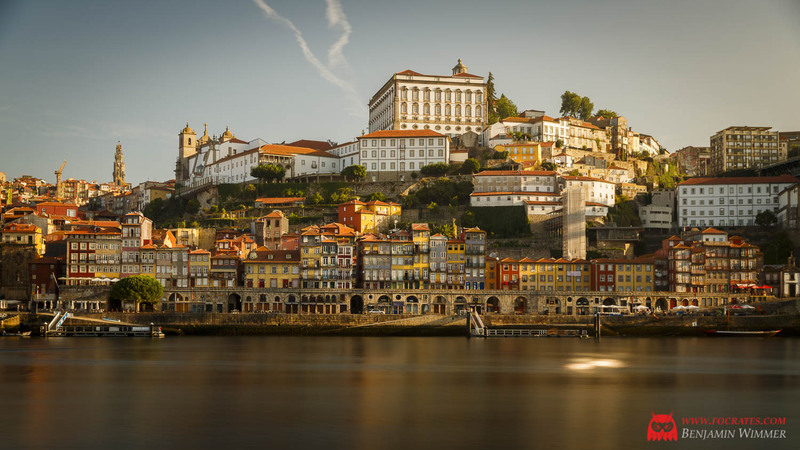 View of Portos city center at the river Douro in early morning. 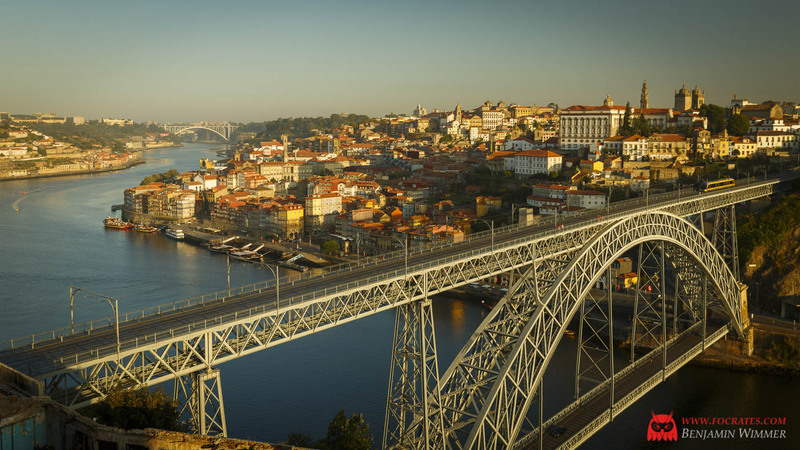 The Ponte Dom Luís I was finished in 1886 to replace a smaller bridge and is the most prominent Landmark of the city. 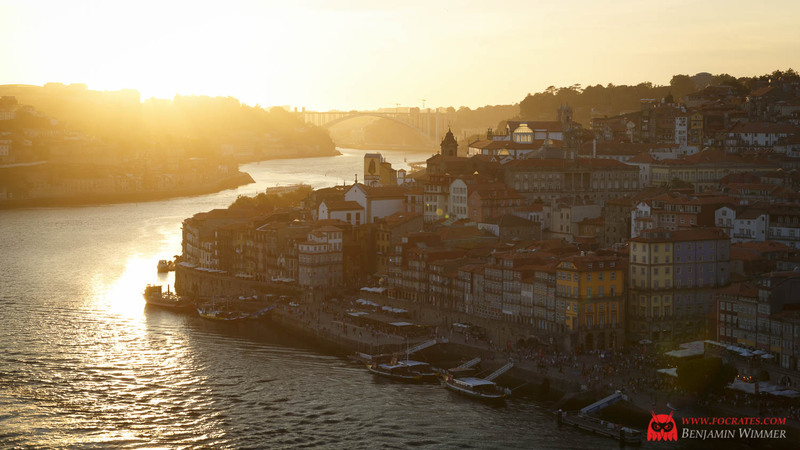 Similar views on the city but taken from the Ponte Dom Luís I. I didn't think that shooting into the sunset would work, but the overexposed part is well balanced and gives a very warm feel. I can almost feel the Portuguese sun on my face again when I revisit this picture. 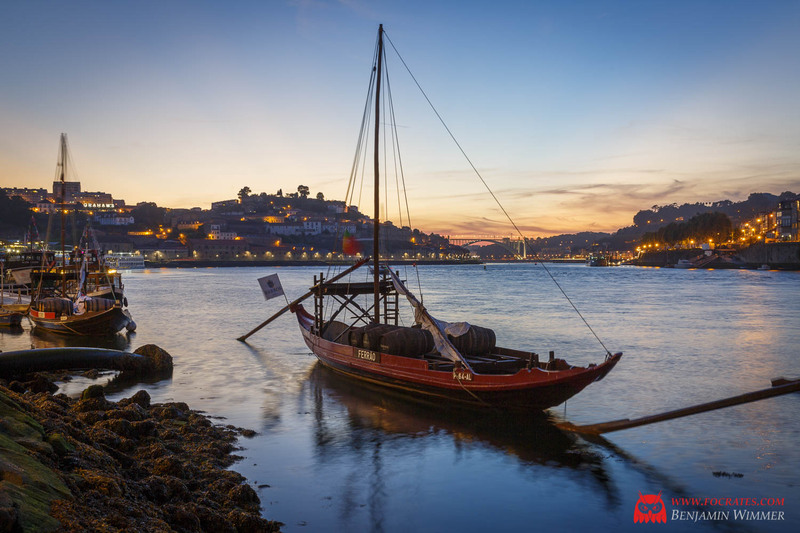 Rabelo boats were once used to transport wine (especially port) from the vineyards in the Douro Valley along the Douro to Porto. Nowadays they serve a merely touristic purpose. View on the old town from the riverside. 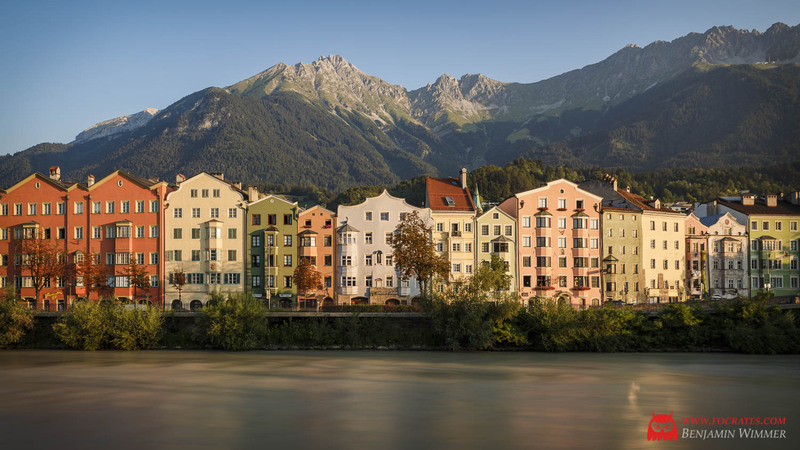 This image reminds me of a very similar one I took only about a month earlier of the houses at the river in Innsbruck. In both cases I used a makeshift tripod (a beanbag on a pole) to create a long exposure, which gives the river a smoother look and accentuates the reflections in the water. 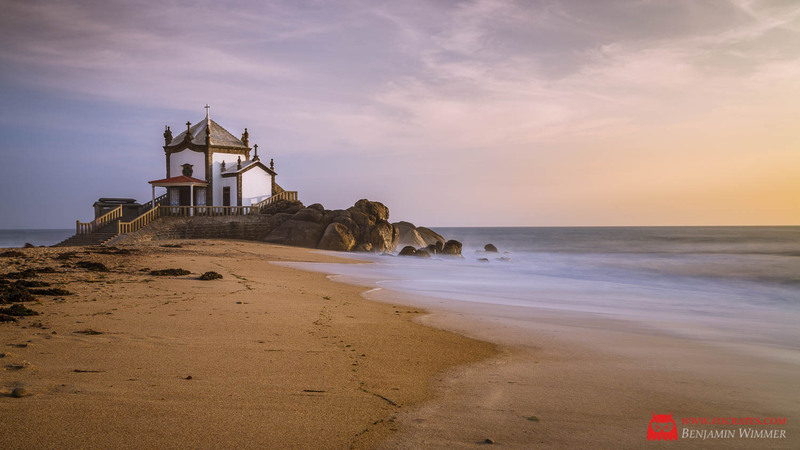 A bit south from the city the Capela do Senhor da Pedra is a beautiful landmark at the Praia da Sãozinha. 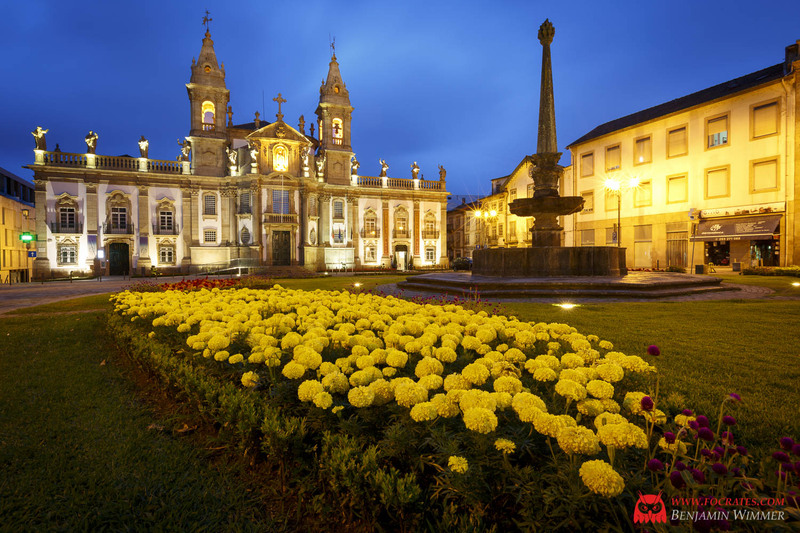 Braga, situated about 45 km north east of Porto, is especially famous for the pilgrimages of Bom Jesus do Monte and Santuário do Sameiro. 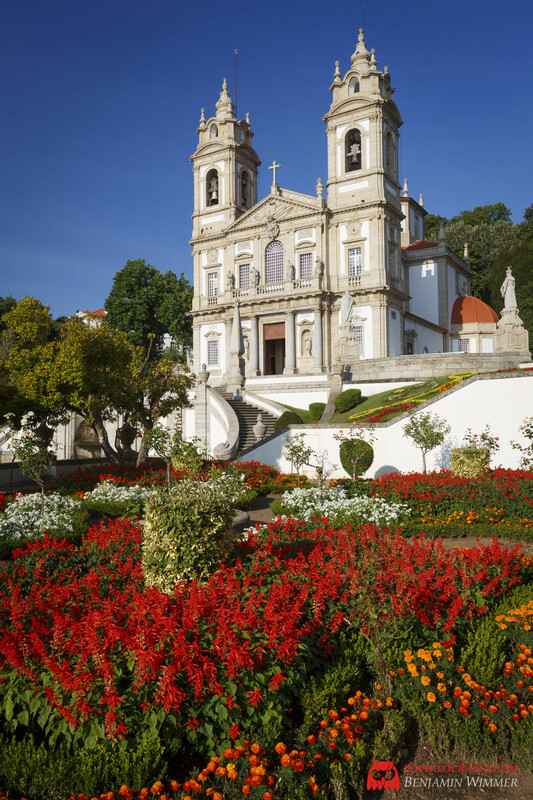 The Hospital e Igreja de San Marcos in Braga. 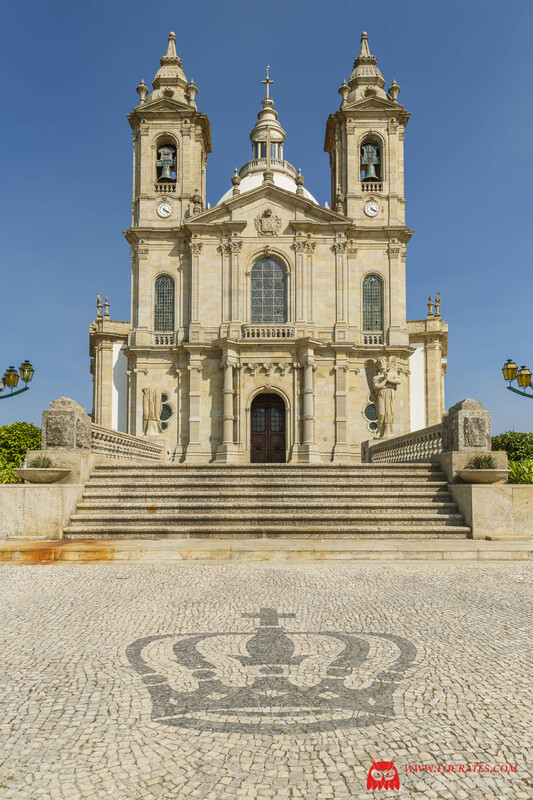 Frontal views of the Basílica de Nossa Senhora do Sameiro. Note how the different perspectives lead to very different results. 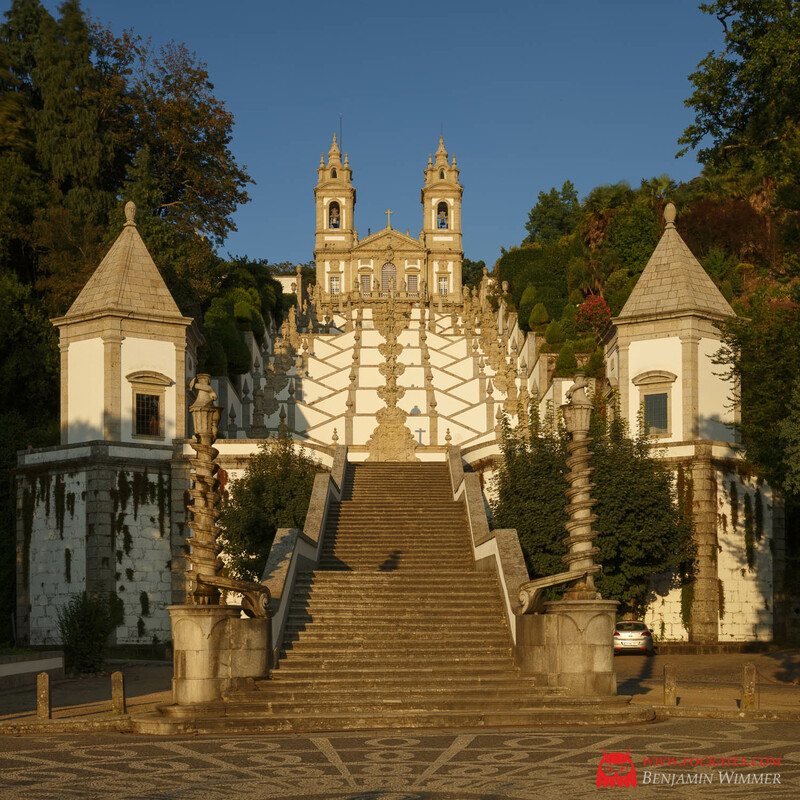 The pilgrimage of Bom Jesus do Monte is a National Monument and the biggest tourist attraction in the region. 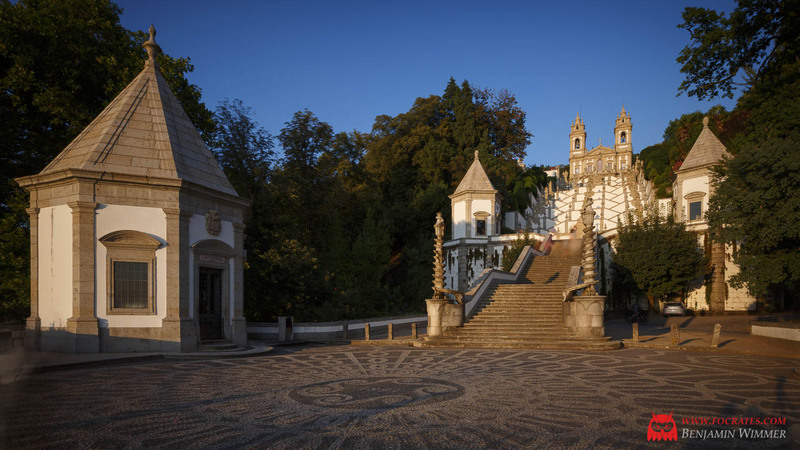 It's most prominent feature is the Baroque stairway that climbs 116 meters. 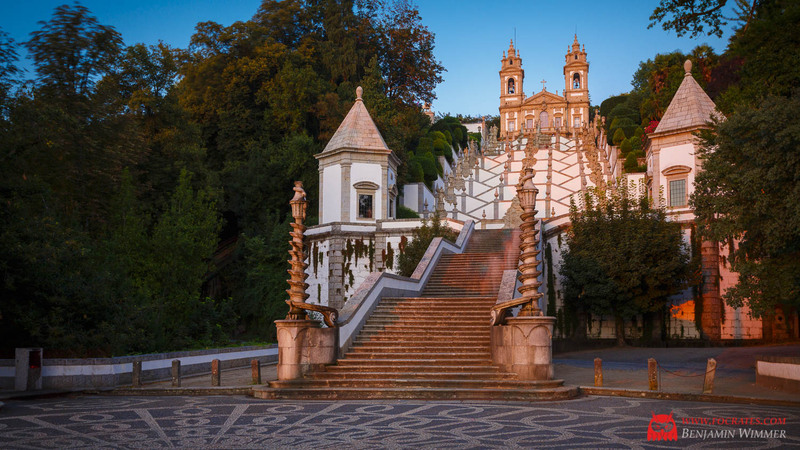 The best time of the day to photograph the stairway and church is the late afternoon before sunset, which is unfortunately also around the time when the site has the most visitors. Trying to take a picture without people on it definitely requires a long exposure and a lot of patience. 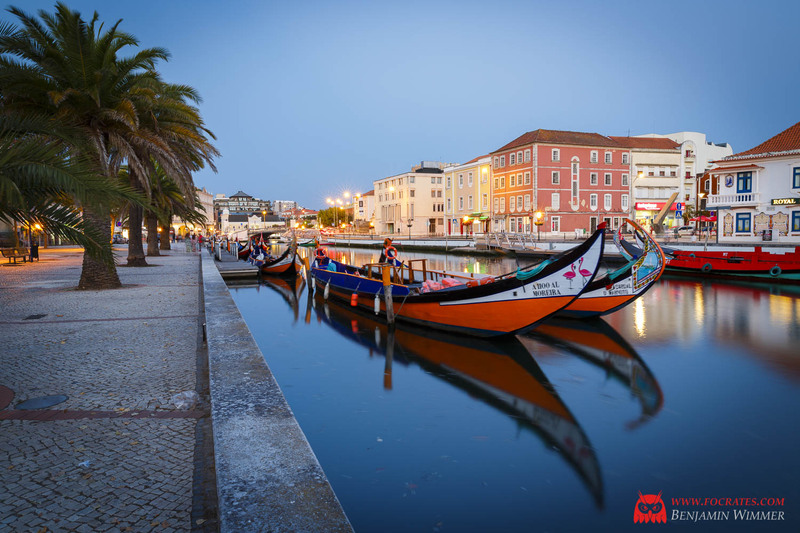 Due to its three channels with (motor driven) Gondolas, Aveiro is called 'the Venice of Portugal' which I find to be a huge overstatement. 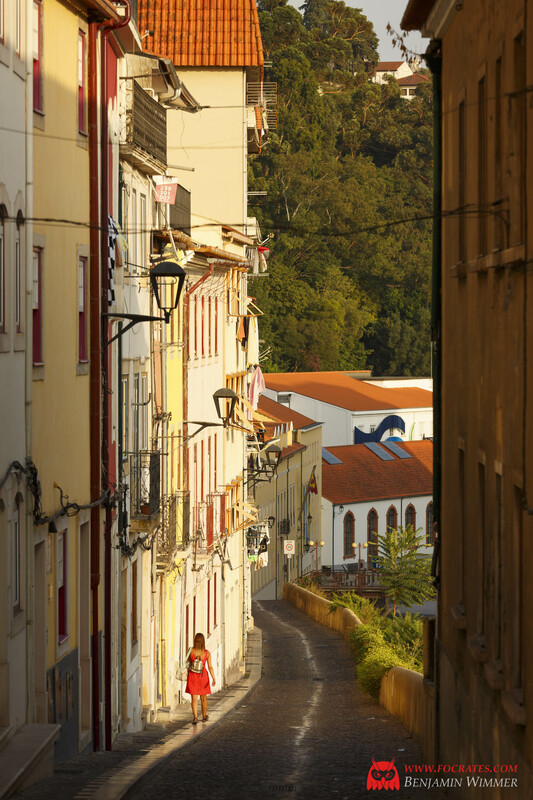 The city does have a quite nice town center with many narrow alleys and small squares. 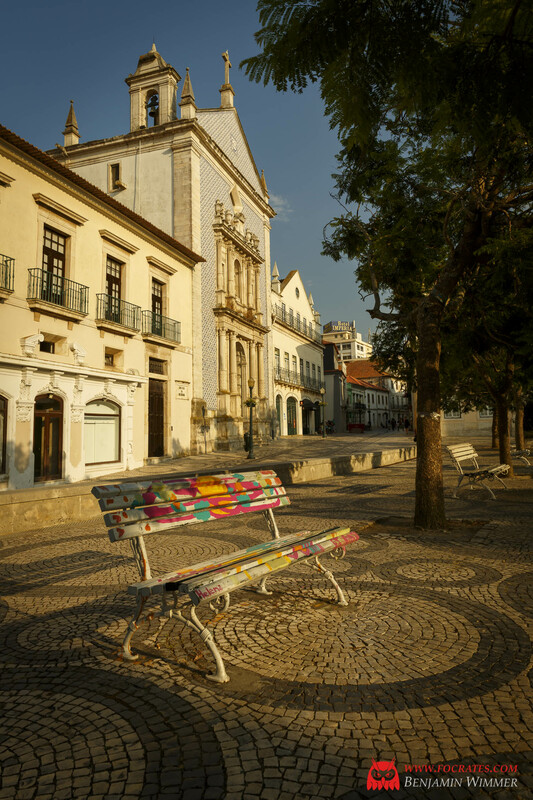 Coimbra used to be the capital of Portugal until Lisbon took over this function in 1256. 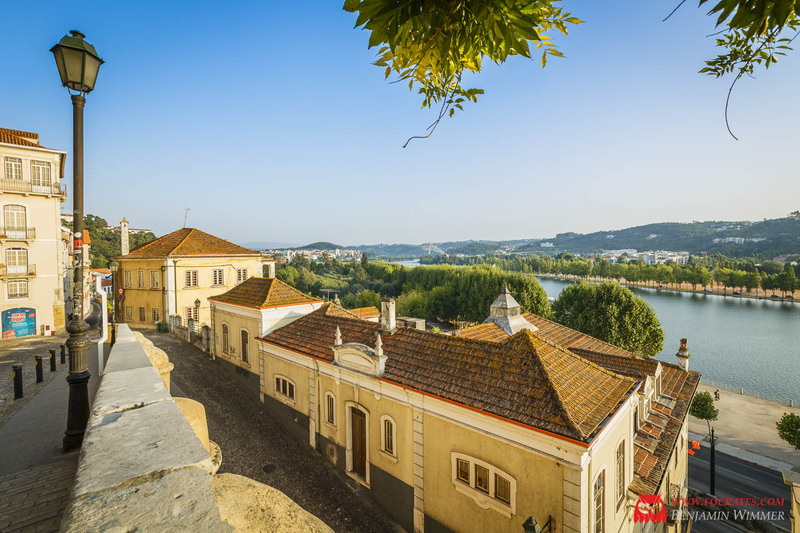 Especially famous for its university, which is one of the oldest universities in Europe, Coimbra is one of the cultural and intellectual centers of the country. View on the center of the old town which is nicely situated on a hill. The university with its famous clock tower can be seen on top. Another perspective, seen from the Pedro e Inês Bridge. 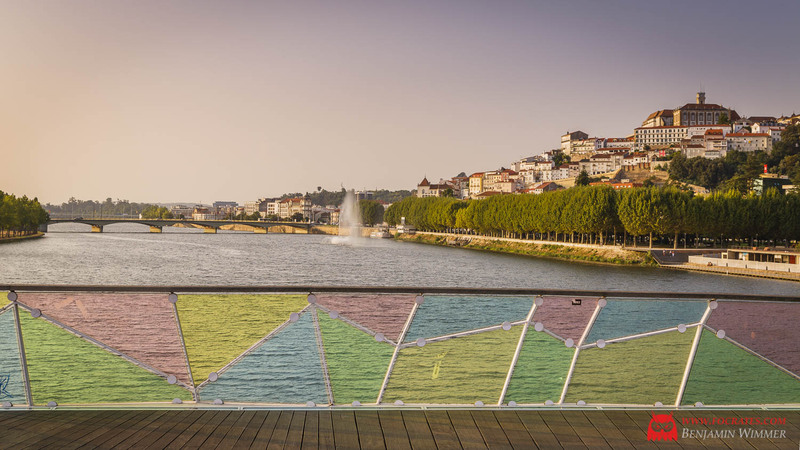 The bridge with its colorful glass panels is named after Inês de Castro and King Pedro I which are famous for their tragic lovestory which took place mostly in Coimbra. 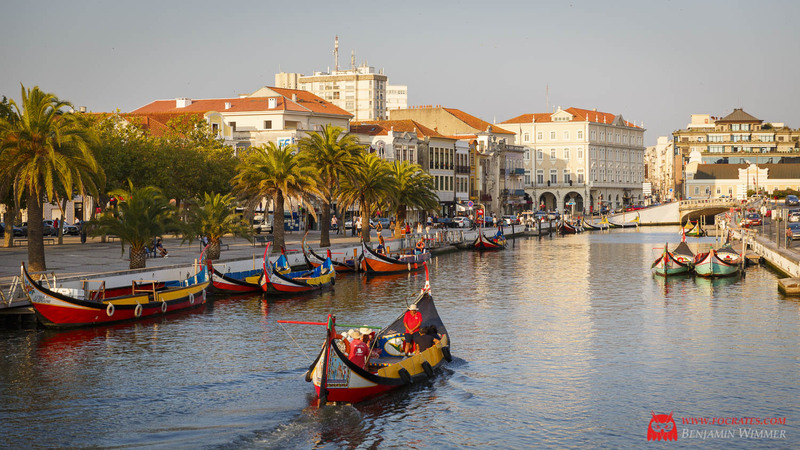 Ultimately it ended in Inês' untimely death at the hands of assassins sent by Pedros father King Afonso IV. 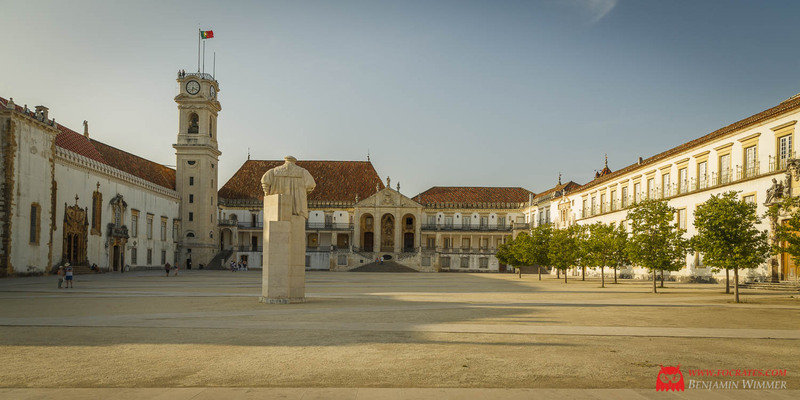 The faculty of law of the university of Coimbra. The clock tower forms the highest point of the old town. 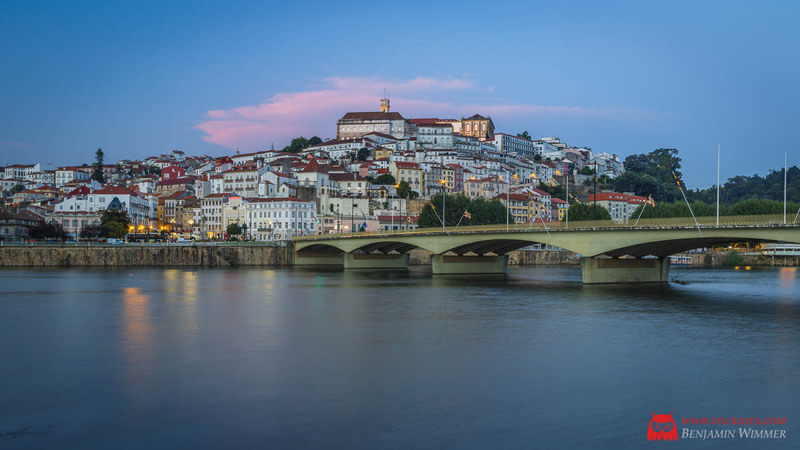 View on the Rio Mondego. Street views in the old town. 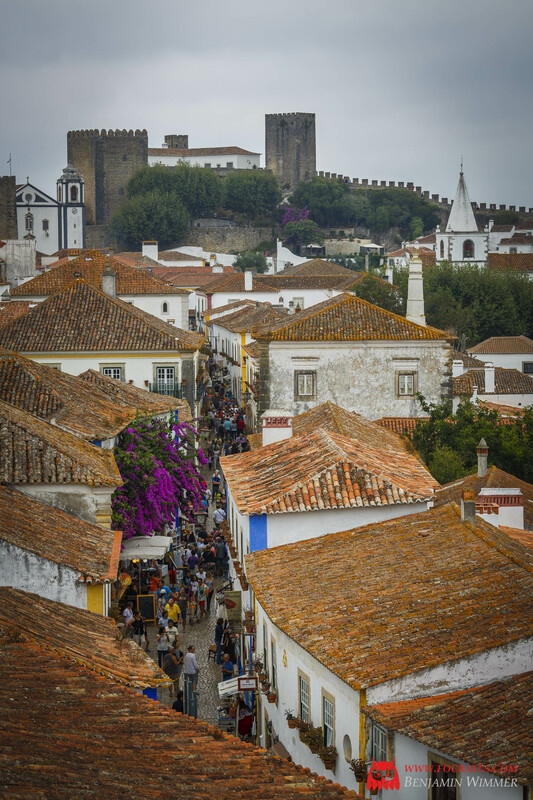 View on the main street in the town center of Óbidos. 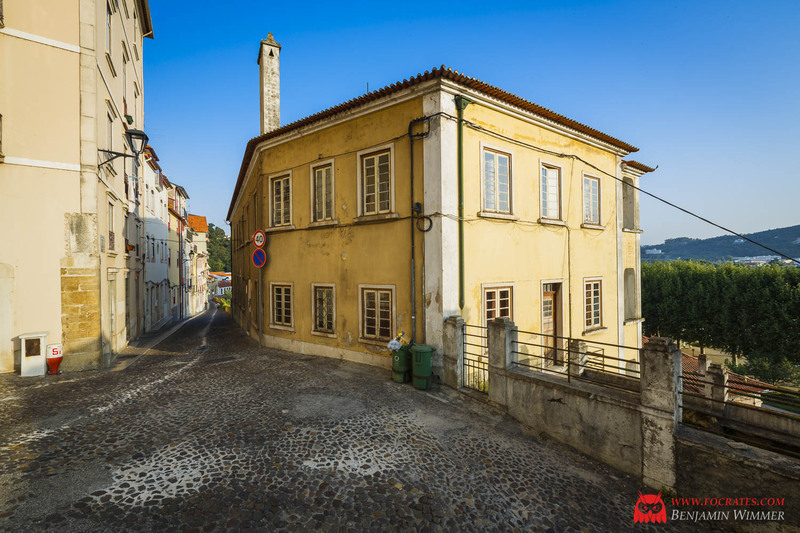 Walking the streets of the old town is almost like entering a different world. The medieval character and features have been preserved perfectly. 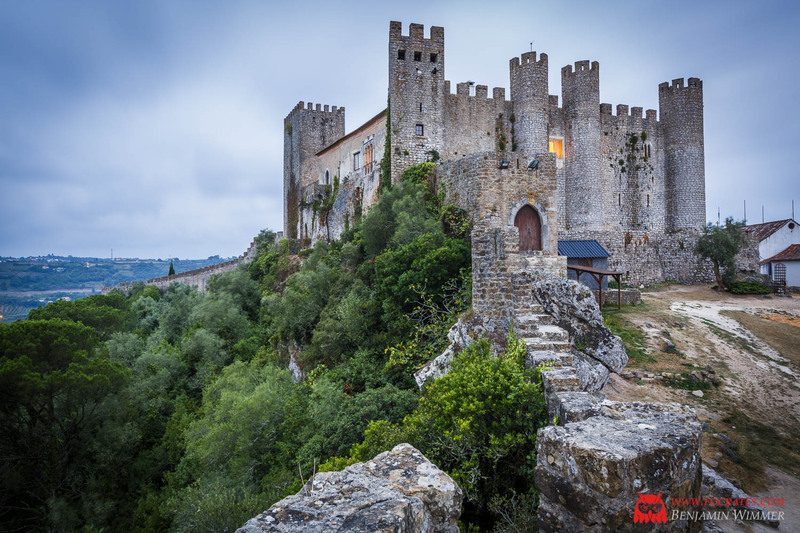 It is possible to walk on the city walls almost in their entirety - without any added safety measures like railings of course. 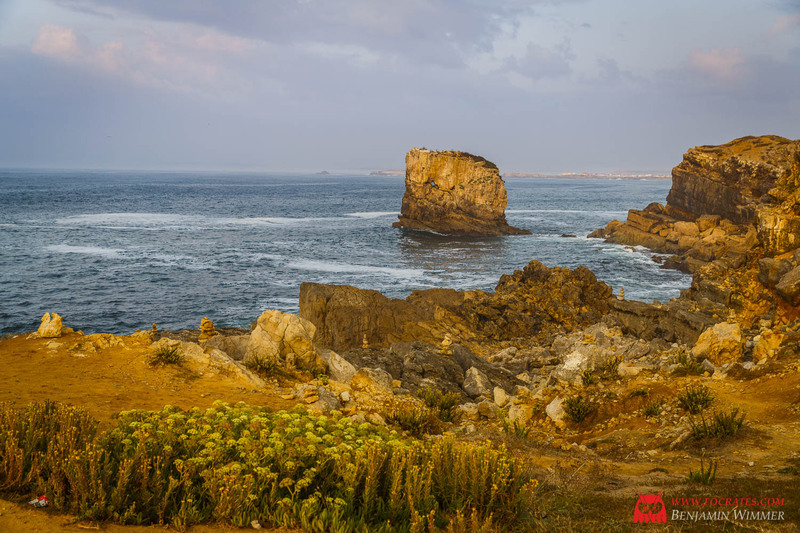 Various landscapes on the Peniche peninsula. 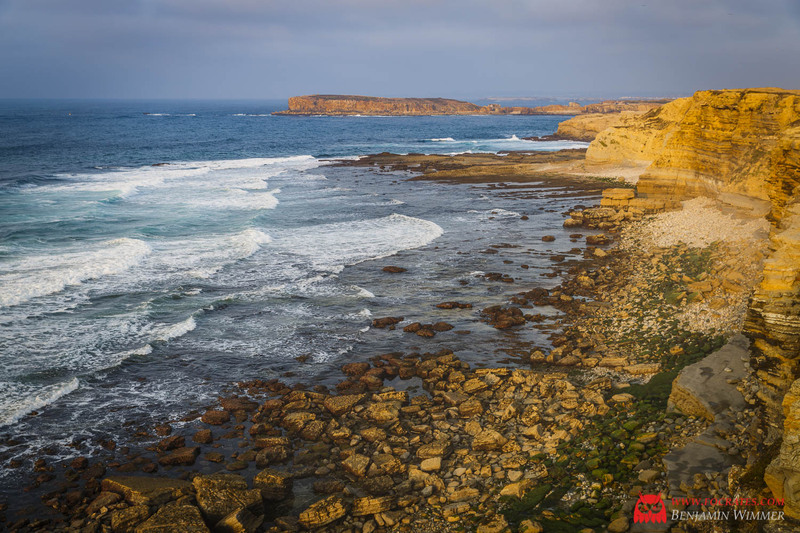 The most western point of mainland Europe was one of the important stops of my trip, not just because of its special geographic location but especially because of the dramatic landscapes of steep cliffs and granite boulders. 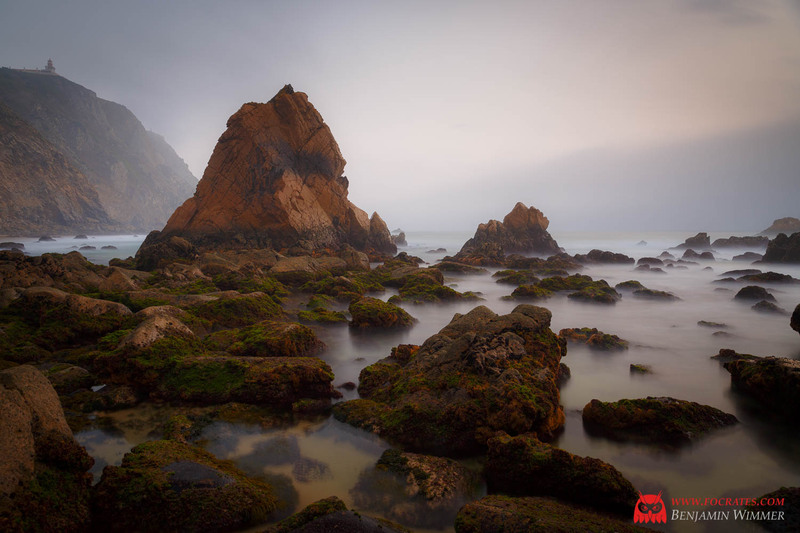 When I arrived at the scene I was very disappointed to see that the weather was extremely foggy as is typical for the Atlantic coast, with almost zero visibility from the top of the 140 meters high cliffs. I had almost given up hope to get a picture in these conditions. It was clear that I won't get a sunset or even decent colors but still I wanted to scout the surrounding area for some unlikely opportunities. Walking down towards the shore I noticed that the visibility improved with lower altitude and the fog from above was more like low hanging clouds. 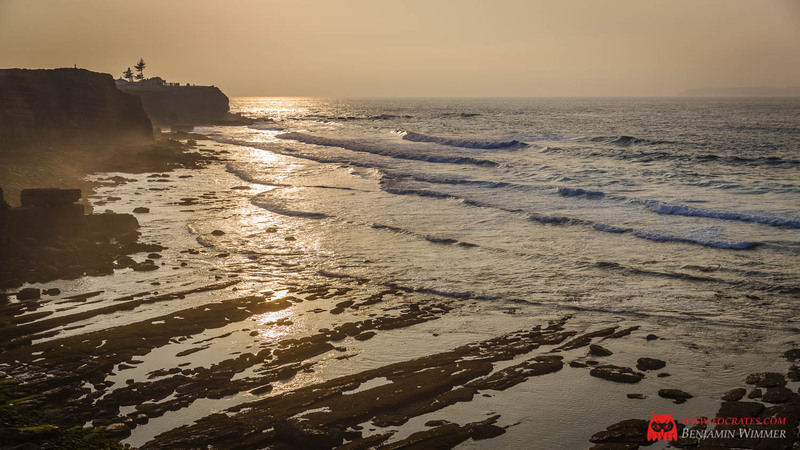 Surprisingly, I briefly got some light on the cliffs but this was not really the image I wanted. 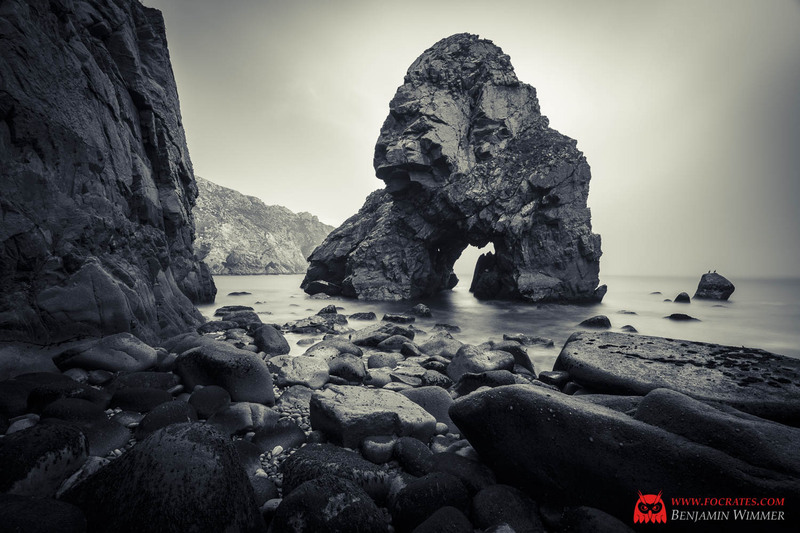 Sea stack at Praia do Louriçal in bad weather. Due to the absence of good light and therefore nice colors I opted for converting to monochrome which I rarely do. Please notice the pair of cormorants on the rock to the right. 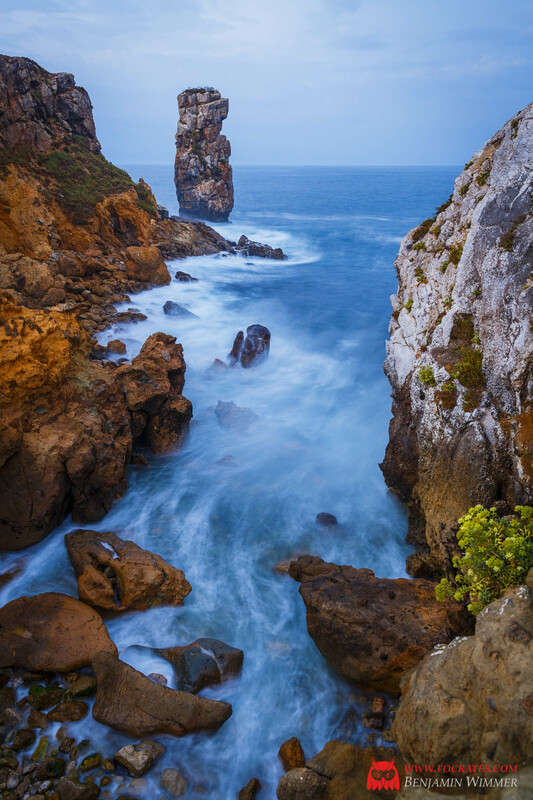 Praia de Aroeira is another fantastic landscape around the area. After the fog cleared up a little bit this image was possible. 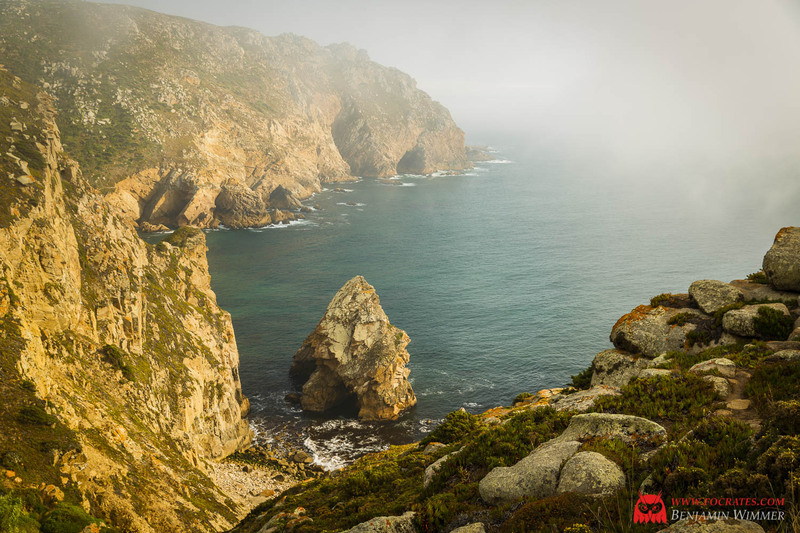 The lighthouse on Cabo da Roca is even visible. While I consider nice sunlight always best there is also a shot in bad conditions occasionally. I do like the dramatic look of the previous image and the dreamy mood of this one.